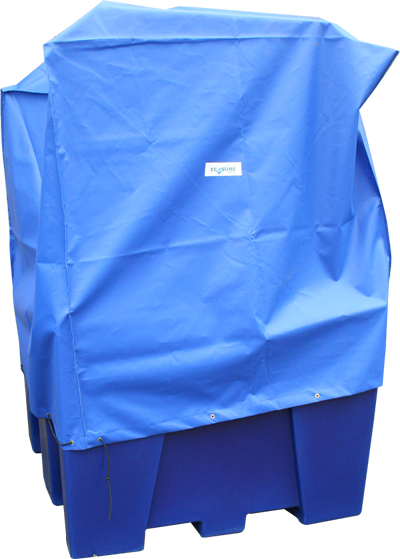 If you’re storing chemicals or other liquids in an IBC container, then you should be using an IBC bund to catch drips or leaks. We manufacture the Ecosure range of IBC bunds from environmentally friendly polyethylene (PE), which is ideal for the storage of various acids and alkalis, as well as oils and non-combustible cleaning chemicals. This tough, durable, long-lasting plastic is strong enough to withstand the odd bump from a forklift. 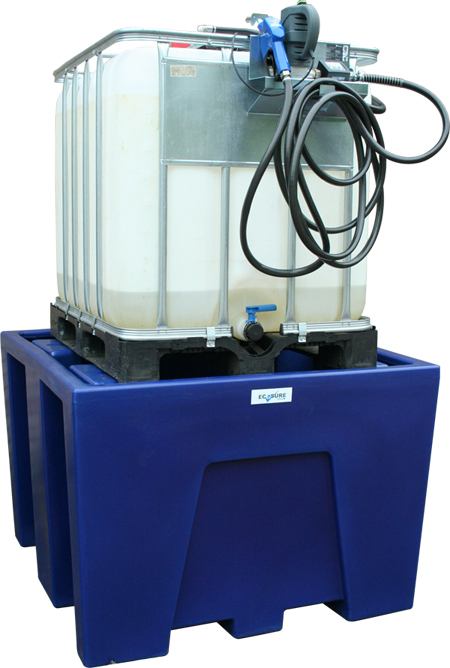 Each bund will support 1600 kg and is ideally suited for the storage of liquids with a maximum specific gravity of 1.4, depending on the weight of each IBC. Lifting points for forklifts allow for easy maneuvering or repositioning, whilst strengthening ribs give maximum support. We can manufacture our Ecosure IBC bunds in any colour to suit your company’s requirements. Different colours can be used to identify the contents of the IBC container. 32lpm self priming diaphragm pump mounted on an IBC hanging plate. The pump comes complete with 4m of delivery hose and 1m of suction hose, including SEC adaptor for IBC connection. These pumps are available with automatic or manual nozzle and has the option of adding an inline digital flow meter. 32plm self priming diaphragm pump. SEC adaptor for IBC connection. Keep storage areas away, or isolated, from on site drainage, surface waters and groundwater and vehicle routes.